Every business owner knows the importance of hiring and maintaining staff that is capable of performing their work responsibilities well. Employers want to make sure they’re getting their money’s worth with their employees and can provide them with the right training and tools in order for them to provide exemplary results. 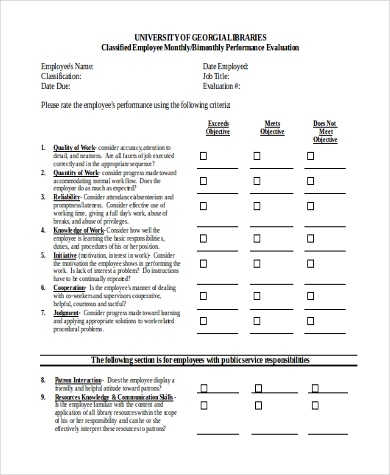 Conducting a periodic Employee Performance Evaluation in the workplace serves as a constructive tool for an employer to gauge his employee’s level of performance. Through Employee Performance Evaluations, managers or supervisors can structure better ways to help an individual improve his skills and abilities. A lot of companies use Employee Performance Evaluations to determine if an employee deserves to be promoted and is capable of handling bigger work responsibilities. 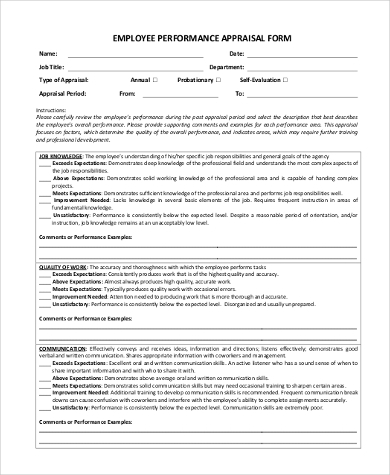 Results of a performance evaluation also serve as a means of reference in order for an employer to gauge how much increase in salary an employee deserves based on his performance. 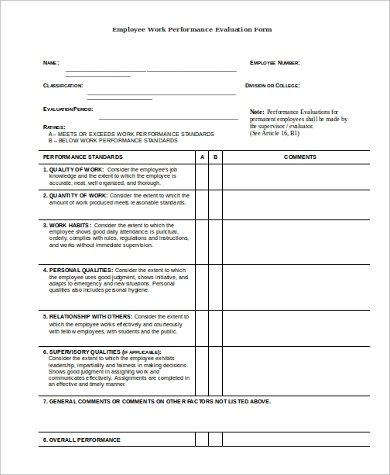 Conducting periodic Employee Evaluations allows employers or managers to properly assess an employee’s strengths through his achievements, skills, and abilities. Evaluations also let managers peer into an employee’s weak spots and allows him to provide proper tools for training that will help the employee improve. 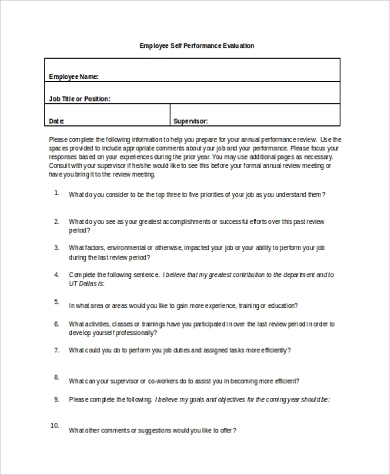 Employee Performance Evaluations also give managers and employers a chance to communicate with an employee and together work on ways to increase productivity in the workplace and address an employee’s issues and concerns. Evaluations promote feedback, praise, and constructive criticism in the workplace and are actually a good opportunity for both an employer and an employee. For one, they are a chance for the employee to improve himself so that he can be a productive and effective employee. Second, Performance Evaluations also serve as a means to communicate with an employee. 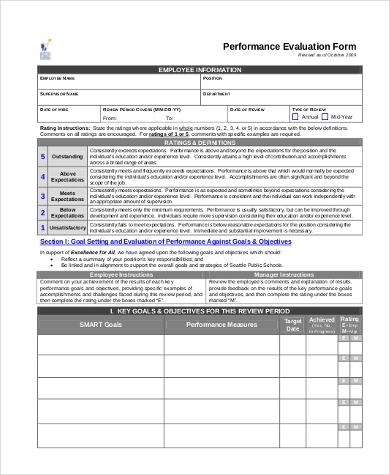 Conducting an effective Performance Evaluation Evaluation takes careful planning, implementation, and documentation. 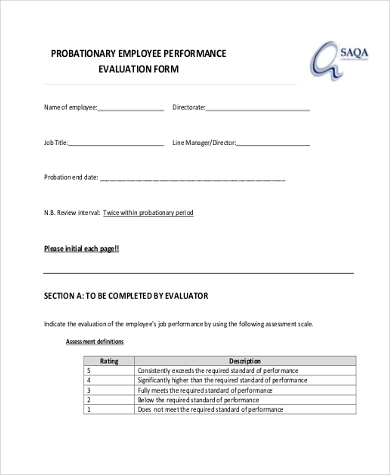 Below is a step-by-step process on how to conduct an effective and constructive Job Performance Evaluation in the workplace. 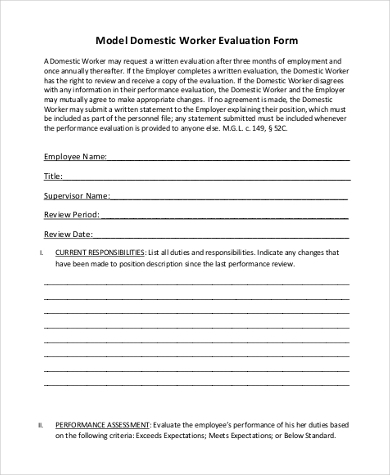 Keep track of an employee’s work performance such as his achievements or any disciplinary action that may have been given to the employee for misconduct. An Employee Performance Evaluation would be deemed useless if it is conducted without providing feedback to the person being evaluated. Managers or people who conduct evaluations should take the time to assess and organize the results of their evaluation and then set aside time to provide feedback of the results to the employee. During the discussion, point out an employee’s strengths and let him know that he is appreciated. Afterward, point out his weaknesses and ask him how he can improve in a particular area and give out suggestions on ways that you think will help him better.